Abrahamic religions have used the teleological argument in many ways, and has a long association with them. In the Middle Ages, Islamic theologians such as Al-Ghazali used the argument, although it was rejected as unnecessary by Quranic literalists, and as unconvincing by many Islamic philosophers. Later, the teleological argument was accepted by Saint Thomas Aquinas and included as the fifth of his "Five Ways" of proving the existence of God. In early modern England clergymen such as William Turner and John Ray were well-known proponents. In the early 18th century, William Derham published his Physico-Theology, which gave his "demonstration of the being and attributes of God from his works of creation". 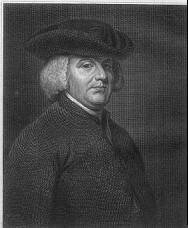 Later, William Paley, in his 1802 Natural Theology or Evidences of the Existence and Attributes of the Deity published a prominent presentation of the design argument with his version of the watchmaker analogy and the first use of the phrase "argument from design". From its beginning, there have been numerous criticisms of the different versions of the teleological argument, and responses to its challenge to the claims against non-teleological natural science. 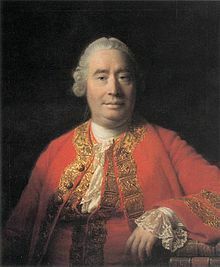 Especially important were the general logical arguments made by David Hume in his Dialogues Concerning Natural Religion, published 1779, and the explanation of biological complexity given in Charles Darwin's Origin of Species, published in 1859. Since the 1960s, Paley's arguments, including the words "intelligent design", have been influential in the development of a creation science movement, especially the form known as the intelligent design movement, which not only uses the teleological argument to argue against the modern scientific understanding of evolution, but also makes the claim that supposed flaws in evolutionary science justify removing it from the educational curriculum. Contemporary defenders of the teleological argument are Richard Swinburne and John Lennox. —  Aristotle, Physics, II 8. Another very important classical supporter of the teleological argument was Galen, whose compendious works were one of the major sources of medical knowledge until modern times, both in Europe and the medieval Islamic world. He was not a Stoic, but like them he looked back to the Socratics and was constantly engaged in arguing against atomists such as the Epicureans. Unlike Aristotle (who was however a major influence upon him), and unlike the Neoplatonists, he believed there was really evidence for something literally like the "demiurge" found in Plato's Timaeus, which worked physical upon nature. In works such as his On the Usefulness of Parts he explained evidence for it in the complexity of animal construction. His work shows "early signs of contact and contrast between the pagan and the Judaeo-Christian tradition of creation", criticizing the account found in the Bible. "Moses, he suggests, would have contented himself with saying that God ordered the eyelashes not to grow and that they obeyed. In contrast to this, the Platonic tradition's Demiurge is above all else a technician." Surprisingly, neither Aristotle nor Plato, but Xenophon are considered by Galen, as the best writer on this subject. Galen shared with Xenophon a scepticism of the value of books about most speculative philosophy, except for inquiries such as whether there is "something in the world superior in power and wisdom to man". This he saw as having an everyday importance, a usefulness for living well. He also asserted that Xenophon was the author who reported the real position of Socrates, including his aloofness from many types of speculative science and philosophy. As an appeal to general revelation, Paul the Apostle (AD 5–67), argues in Romans 1:18–20[1:18–20], that because it has been made plain to all from what has been created in the world, it is obvious that there is a God. An example of the teleological argument in Jewish philosophy appears when the medieval Aristotelian philosopher Maimonides cites the passage in Isaiah 40:26, where the "Holy One" says: "Lift up your eyes on high, and behold who hath created these things, that bringeth out their host by number:" However, Barry Holtz calls this "a crude form of the argument from design", and that this "is only one possible way of reading the text". He asserts that "Generally, in the biblical texts the existence of God is taken for granted." Maimonides also recalled that Abraham (in the midrash, or explanatory text, of Genesis Rabbah 39:1) recognized the existence of "one transcendent deity from the fact that the world around him exhibits an order and design". The midrash makes an analogy between the obviousness that a building has an owner, and that the world is looked after by God. Abraham says "Is it conceivable that the world is without a guide?" Because of these examples, the 19th century philosopher Nachman Krochmal called the argument from design "a cardinal principle of the Jewish faith". when I wrote my treatise about our Systeme I had an eye upon such Principles as might work with considering men for the beliefe [sic] of a Deity, and nothing can rejoice me more than to find it useful for that purpose. In Leibniz's form, the argument states that the harmony of all the monads can only have arisen from a common cause. That they should all exactly synchronize, can only be explained by a Creator who pre-determined their synchronism. David Hume, in the mid-18th century, referred to the teleological argument in his A Treatise of Human Nature. Here, he appears to give his support to the argument from design. John Wright notes that "Indeed, he claims that the whole thrust of his analysis of causality in the Treatise supports the Design argument", and that, according to Hume, "we are obliged 'to infer an infinitely perfect Architect.'" As a theology student, Charles Darwin found Paley's arguments compelling. However, he later developed his theory of evolution in his 1859 book On the Origin of Species, which offers an alternate explanation of biological order. In his autobiography, Darwin wrote that "The old argument of design in nature, as given by Paley, which formerly seemed to me so conclusive, fails, now that the law of natural selection has been discovered". Darwin struggled with the problem of evil and of suffering in nature, but remained inclined to believe that nature depended upon "designed laws" and commended Asa Gray's statement about "Darwin's great service to Natural Science in bringing back to it Teleology: so that, instead of Morphology versus Teleology, we shall have Morphology wedded to Teleology." But I own that I cannot see, as plainly as others do, & as I shd wish to do, evidence of design & beneficence on all sides of us. There seems to me too much misery in the world. I cannot persuade myself that a beneficent & omnipotent God would have designedly created the Ichneumonidae with the express intention of their feeding within the living bodies of caterpillars, or that a cat should play with mice. Not believing this, I see no necessity in the belief that the eye was expressly designed. In 1928 and 1930, F. R. Tennant published his Philosophical Theology, which was a "bold endeavour to combine scientific and theological thinking". He proposed a version of the teleological argument based on the accumulation of the probabilities of each individual biological adaptation. "Tennant concedes that naturalistic accounts such as evolutionary theory may explain each of the individual adaptations he cites, but he insists that in this case the whole exceeds the sum of its parts: naturalism can explain each adaptation but not their totality." The Routledge Encyclopedia of Philosophy notes that "Critics have insisted on focusing on the cogency of each piece of theistic evidence – reminding us that, in the end, ten leaky buckets hold no more water than one." Also, "Some critics, such as John Hick and D.H. Mellor, have objected to Tennant's particular use of probability theory and have challenged the relevance of any kind of probabilistic reasoning to theistic belief." Richard Swinburne's "contributions to philosophical theology have sought to apply more sophisticated versions of probability theory to the question of God's existence, a methodological improvement on Tennant's work but squarely in the same spirit". He uses Bayesian probability "taking account not only of the order and functioning of nature but also of the 'fit' between human intelligence and the universe, whereby one can understand its workings, as well as human aesthetic, moral, and religious experience". Swinburne writes: "the existence of order in the world confirms the existence of God if and only if the existence of this order in the world is more probable if there is a God than if there is not. ... the probability of order of the right kind is very much greater if there is a God, and so that the existence of such order adds greatly to the probability that there is a God." Swinburne acknowledges that his argument by itself may not give a reason to believe in the existence of God, but in combination with other arguments such as cosmological arguments and evidence from mystical experience, he thinks it can. To understand Schlesinger's argument, consider your reaction to two different events. If John wins a 1-in-1,000,000,000 lottery game, you would not immediately be tempted to think that John (or someone acting on his behalf) cheated. If, however, John won three consecutive 1-in-1,000 lotteries, you would immediately be tempted to think that John (or someone acting on his behalf) cheated. Schlesinger believes that the intuitive reaction to these two scenarios is epistemically justified. The structure of the latter event is such that it… justifies a belief that intelligent design is the cause… Despite the fact that the probability of winning three consecutive 1-in-1,000 games is exactly the same as the probability of winning one 1-in-1,000,000,000 game, the former event… warrants an inference of intelligent design. Antony Flew, who spent most of his life as an atheist, converted to deism late in life, and postulated "an intelligent being as involved in some way in the design of conditions that would allow life to arise and evolve". He concluded that the fine-tuning of the universe was too precise to be the result of chance, so accepted the existence of God. He said that his commitment to "go where the evidence leads" meant that he ended up accepting the existence of God. Flew proposed the view, held earlier by Fred Hoyle, that the universe is too young for life to have developed purely by chance and that, therefore, an intelligent being must exist which was involved in designing the conditions required for life to evolve. Would you not say to yourself, "Some super-calculating intellect must have designed the properties of the carbon atom, otherwise the chance of my finding such an atom through the blind forces of nature would be utterly minuscule." Of course you would ... A common sense interpretation of the facts suggests that a superintellect has monkeyed with physics, as well as with chemistry and biology, and that there are no blind forces worth speaking about in nature. The numbers one calculates from the facts seem to me so overwhelming as to put this conclusion almost beyond question. Intelligent design advocate and biochemist Michael Behe proposed a development of Paley's watch analogy in which he argued in favour of intelligent design. Unlike Paley, Behe only attempts to prove the existence of an intelligent designer, rather than the God of classical theism. Behe uses the analogy of a mousetrap to propose irreducible complexity: he argues that if a mousetrap loses just one of its parts, it can no longer function as a mousetrap. He argues that irreducible complexity in an object guarantees the presence of intelligent design. Behe claims that there are instances of irreducible complexity in the natural world and that parts of the world must have been designed. This negative argument against step by step evolution ignores longstanding evidence that evolution proceeds through changes of function from preceding systems. The specific examples Behe proposes have been shown to have simpler homologues which could act as precursors with different functions. His arguments have been rebutted, both in general and in specific cases by numerous scientific papers. In response, Behe and others, "ironically, given the absence of any detail in their own explanation, complain that the proffered explanations lack sufficient detail to be empirically tested." A. If God did not exist, the applicability of mathematics would be just a happy coincidence. B. The applicability of mathematics is not just a happy coincidence. In his book, Evolution: A View from the 21st Century, Shapiro refers to this concept of "natural genetic engineering", which he says, has proved troublesome, because many scientists feel that it supports the intelligent design argument. He suggests that "function-oriented capacities [can] be attributed to cells", even though this is "the kind of teleological thinking that scientists have been taught to avoid at all costs". The original development of the argument from design was in reaction to atomistic, explicitly non-teleological understandings of nature. 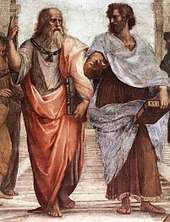 Socrates, as reported by Plato and Xenophon, was reacting to such natural philosophers. While less has survived from the debates of the Hellenistic and Roman eras, it is clear from sources such as Cicero and Lucretius, that debate continued for generations, and several of the striking metaphors used still today, such as the unseen watchmaker, and the infinite monkey theorem, have their roots in this period. While the Stoics became the most well-known proponents of the argument from design, the atomistic counter arguments were refined most famously by the Epicureans. On the one hand, they criticized the supposed evidence for intelligent design, and the logic of the Stoics. On the defensive side, they were faced with the challenge of explaining how un-directed chance can cause something which appears to be a rational order. Much of this defence revolved around arguments such as the infinite monkey metaphor. Democritus had already apparently used such arguments at the time of Socrates, saying that there will be infinite planets, and only some having an order like the planet we know. But the Epicureans refined this argument, by proposing that the actual number of types of atoms in nature is small, not infinite, making it less coincidental that after a long period of time, certain orderly outcomes will result. It is only when two species of objects are found to be constantly conjoined, that we can infer the one from the other ... If experience and observation and analogy be, indeed, the only guides which we can reasonably follow in inference of this nature; both the effect and cause must bear a similarity and resemblance to other effects and causes ... which we have found, in many instances, to be conjoined with another ... [The proponents of the argument] always suppose the universe, an effect quite singular and unparalleled, to be the proof of a Deity, a cause no less singular and unparalleled. Philo also proposes that the order in nature may be due to nature alone. If nature contains a principle of order within it, the need for a designer is removed. Philo argues that even if the universe is indeed designed, it is unreasonable to justify the conclusion that the designer must be an omnipotent, omniscient, benevolent God – the God of classical theism. It is impossible, he argues, to infer the perfect nature of a creator from the nature of its creation. Philo argues that the designer may have been defective or otherwise imperfect, suggesting that the universe may have been a poor first attempt at design. Hume also pointed out that the argument does not necessarily lead to the existence of one God: “why may not several deities combine in contriving and framing the world?” (p. 108). Nancy Cartwright accuses Salmon of begging the question. One piece of evidence he uses in his probabilistic argument – that atoms and molecules are not caused by design – is equivalent to the conclusion he draws, that the universe is probably not caused by design. The atoms and molecules are what the universe is made up of and whose origins are at issue. Therefore, they cannot be used as evidence against the theistic conclusion. Referring to it as the physico-theological proof, Immanuel Kant discussed the teleological argument in his Critique of Pure Reason. Even though he referred to it as "the oldest, clearest and most appropriate to human reason", he nevertheless rejected it, heading section VI with the words, "On the impossibility of a physico-theological proof". In accepting some of Hume's criticisms, Kant wrote that the argument "proves at most intelligence only in the arrangement of the 'matter' of the universe, and hence the existence not of a 'Supreme Being', but of an 'Architect'". Using the argument to try to prove the existence of God required "a concealed appeal to the Ontological argument". In his Traité de métaphysique Voltaire argued that, even if the argument from design could prove the existence of a powerful intelligent designer, it would not prove that this designer is God. The works of God are such that only God can perform them. Just so, but where then are the works of the God? The works from which I would deduce his existence are not directly and immediately given. The wisdom in nature, the goodness, the wisdom in the governance of the world – are all these manifest, perhaps, upon the very face of things? Are we not here confronted with the most terrible temptations to doubt, and is it not impossible finally to dispose of all these doubts? But from such an order of things I will surely not attempt to prove God's existence; and even if I began I would never finish, and would in addition have to live constantly in suspense, lest something so terrible should suddenly happen that my bit of proof would be demolished. The creationist misappropriation of the argument from improbability always takes the same general form, and it doesn't make any difference ... [if called] 'intelligent design' (ID). Some observed phenomenon—often a living creature or one of its more complex organs, but it could be anything from a molecule up to the universe itself—is correctly extolled as statistically improbable. Sometimes the language of information theory is used: the Darwinian is challenged to explain the source all the information in living matter, in the technical sense of information content as a measure of improbability or 'surprise value'… However statistically improbable the entity you seek to explain by invoking a designer, the designer himself has got to be at least as improbable. God is the Ultimate Boeing 747. ... The whole argument turns on the familiar question 'Who made God?'... A designer God cannot be used to explain organized complexity because any God capable of designing anything would have to be complex enough to demand the same kind of explanation in his own right. God presents an infinite regress from which he cannot help us to escape. This argument… demonstrates that God, though not technically disprovable, is very very improbable indeed. Dawkins considered the argument from improbability to be "much more powerful" than the teleological argument, or argument from design, although he sometimes implies the terms are used interchangeably. He paraphrases St. Thomas' teleological argument as follows: "Things in the world, especially living things, look as though they have been designed. Nothing that we know looks designed unless it is designed. Therefore there must have been a designer, and we call him God." The philosopher of biology Michael Ruse has argued that Darwin treated the structure of organisms as if they had a purpose: "the organism-as-if-it-were-designed-by God picture was absolutely central to Darwin's thinking in 1862, as it always had been." He refers to this as "the metaphor of design ... Organisms give the appearance of being designed, and thanks to Charles Darwin's discovery of natural selection we know why this is true." In his review of Ruse's book, R.J. Richards writes, "Biologists quite routinely refer to the design of organisms and their traits, but properly speaking it's apparent design to which they refer – an 'as if' design." Robert Foley refers to this as "the illusion of purpose, design, and progress". He adds, "there is no purpose in a fundamentally causative manner in evolution but that the processes of selection and adaptation give the illusion of purpose through the utter functionality and designed nature of the biological world." Richard Dawkins suggests that while biology can at first seem to be purposeful and ordered, upon closer inspection its true function becomes questionable. Dawkins rejects the claim that biology serves any designed function, claiming rather that biology only mimics such purpose. In his book The Blind Watchmaker, Dawkins states that animals are the most complex things in the known universe: "Biology is the study of complicated things that give the appearance of having been designed for a purpose." He argues that natural selection should suffice as an explanation of biological complexity without recourse to divine provenance. However, theologian Alister McGrath has pointed out that the fine-tuning of carbon is even responsible for nature's ability to tune itself to any degree. [The entire biological] evolutionary process depends upon the unusual chemistry of carbon, which allows it to bond to itself, as well as other elements, creating highly complex molecules that are stable over prevailing terrestrial temperatures, and are capable of conveying genetic information (especially DNA). ... Whereas it might be argued that nature creates its own fine-tuning, this can only be done if the primordial constituents of the universe are such that an evolutionary process can be initiated. The unique chemistry of carbon is the ultimate foundation of the capacity of nature to tune itself. Fideists may reject attempts to prove God's existence. For example, Calvinist theologian Karl Barth held that God can be known only through Jesus Christ, as revealed in scripture, and that any such attempts should be considered idolotry. The teleological argument assumes that one can infer the existence of intelligent design merely by examination, and because life is reminiscent of something a human might design, it too must have been designed. However, considering "snowflakes and crystals of certain salts", "[i]n no case do we find intelligence". "There are other ways that order and design can come about" such as by "purely physical forces". Nyaya, the Hindu school of logic, had a version of the argument from design. P.G. Patil writes that, in this view, it is not the complexity of the world from which one can infer the existence of a creator, but the fact that "the world is made up of parts". In this context, it is the Supreme Soul, Ishvara, who created all the world. Buddhism denies the existence of a creator god, and rejects the Nyaya syllogism for the teleological argument as being "logically flawed". Buddhists argue that "the 'creation' of the world cannot be shown to be analogous to the creation of a human artifact, such as a pot." ^ "teleological argument". Oxford English Dictionary. ^ Francisco J. Ayala (2006), Review article of "The Blasphemy of Intelligent Design: Creationism's Trojan Horse. The Wedge of Intelligent Design" by Barbara Forrest; Paul R. Gross History and Philosophy of the Life Sciences, Vol. 28, No. 3, pp. 409–421, JSTOR 23334140.: "The argument from design to demonstrate God's existence, now called the 'Intelligent Design' argument (ID) is a two-tined argument. The first prong asserts that the universe, humans, as well as all sorts of organisms, in their wholes, in their parts, and in their relations to one another and to their environment, appear to have been designed for serving certain functions and for certain ways of life. The second prong of the argument is that only an omnipotent Creator could account for the perfection and purposeful design of the universe and everything in it." ^ "The Argument from Design". Princeton University. ^ a b Ahbel-Rappe, S. and Kamtekar, R., A Companion to Socrates, John Wiley & Sons, 2009, p. 45. "Xenophon attributes to Socrates what is probably the earliest known natural theology, an argument for the existence of the gods from observations of design in the physical world." ^ Sedley (2007) agrees (p. 86), and cites other recent commentators who agree, and argues in detail that the argument reported by Xenophon and Plato is "at any rate the antecedent" of the argument from design (p. 213). He shows that the Stoics frequently paraphrased the account given by Xenophon. ^ a b Sedley 2007, p. xvii. ^ Oxford English Dictionary under "Design", substantive number 4. ^ The Oxford Handbook of Natural Theology, p. 3, for example: "Between them, so the story goes, Hume, Darwin and Barth pulled the rug out from underneath the pretensions of natural theology to any philosophical, scientific, or theological legitimacy". ^ a b c d e Eugenie C. Scott. Biological design in science classrooms. Proceedings of the National Academy of Sciences. May 15, 2007 [Retrieved 2013-9-9];104(Suppl 1):8669–8676. doi:10.1073/pnas.0701505104. PMID 17494747. PMC 1876445. ^ a b Ahbel-Rappe, Sara (2009-08-30), Socrates: A Guide for the Perplexed, p. 27, ISBN 9780826433251 . ^ a b c d Sedley, David (2007), Creationism and Its Critics in Antiquity, University of California Press, ISBN 9780520934368 . ^ Kirk; Raven; Schofield (1983), The Presocratic Philosophers (second ed. ), Cambridge University Press Chapter X. ^ 28c and 30d. Translation by Fowler. ^ 97-98. Also see Ahbel Rappe. ^ Ahbel-Rappe (2009), McPherran (1996:290) and Kirk, Raven & Schofield (1983), chapter XVI. ^ Sedley (2007), p. 132. ^ Sedley (2007), p. 133. ^ Brickhouse, Thomas; Smith, Nicholas D. (April 21, 2005). "Plato". Internet Encyclopedia of Philosophy. Retrieved November 12, 2011. ^ Sedley (2007), p. 204. ^ Sedley (2007), p. 171. ^ Aristotle. History of Animals. I 2. ^ a b c Nussbaum, M.C. (1985). Aristotle's de Motu Animalium. Princeton paperbacks. Princeton University Press. p. 60,66,69–70,73–81,94–98,101. ISBN 978-0-691-02035-8. LCCN 77072132. ^ Aristotle. Physics. I 2 (¶15). ^ Aristotle. Parts of Animals. I 1. ^ Ross, D.; Ackrill, J.L. (2004). Aristotle. Routledge. p. 80. ISBN 978-0-415-32857-9. ^ Hull, D.L. ; Ruse, M. (2007). The Cambridge Companion to the Philosophy of Biology. Cambridge Companions to Philosophy. Cambridge University Press. p. 174. ISBN 978-0-521-61671-3. LCCN 2006025898. ^ Aristotle. Physics. II 8 (¶2). ^ Aristotle. Physics. II 8 (¶5). ^ Aristotle. Physics. II 8 (¶8). ^ Aristotle. Physics. II 8. ^ Sedley (2007), p. 186. ^ Sachs translation (1998), Aristotle's physics; a guided study, 2nd ed., pages 67–68. ^ "Christian philosophy as natural theology". Encyclopædia Britannica. ^ Marcus Minucius Felix (2010). The Octavius of Minucius Felix. OrthodoxEbook. pp. 359–361. ^ Augustine of Hippo, City of God, Book XI, Chapter 4. "the world itself, by its well-ordered changes and movements, and by the fair appearance of all visible things, bears a testimony of its own, both that it has been created, and also that it could not have been created save by God, whose greatness and beauty are unutterable and invisible." ^ Kogan, Barry S. (1985). Averroes and the metaphysics of causation. SUNY Press. pp. 240–243. ISBN 978-0-88706-063-2. ^ Catarina Carriço Marques de Moura Belo Chance and Determinism in Avicenna and Averroës. See for example p. 194. ^ Carlos Fraenkel "Philosophical Religions from Plato to Spinoza: Reason, Religion, and Autonomy", p. 199. ^ Holtz, B., Back to the Sources, Simon and Schuster, 2008, p. 287. ^ a b Harris, J.M., Nachman Krochmal: Guiding the Perplexed of the Modern Age, NYU Press, 1991, p. 45. ^ Kaplan, A., The Aryeh Kaplan Anthology: Illuminating Expositions on Jewish Thought and Practice by a Revered Teacher, Volume 1, Mesorah Publications, 1991, p. 114. ^ Davies, Brian (1992). The Thought of Thomas Aquinas. Oxford University Press. p. 30, footnote 30. ISBN 978-0-19-152044-0. ^ Newton, I., quoted in Huyssteen, JWV. (ed. ), Encyclopedia of Science and Religion, Macmillan, 2003, p. 621. ^ Leshem, A., Newton on Mathematics and Spiritual Purity, Springer, 2003, p. 19. ^ Leshem, A., Newton on Mathematics and Spiritual Purity, Springer, 2003, p. 20. ^ Leshem, A., Newton on Mathematics and Spiritual Purity, Springer, 2003, pp. 21–22. ^ Pomerlaeau, Western Philosophies Religion, Rowman & Littlefield Publishers, 1998, p. 180. ^ Encyclopædia Britannica: "monads are basic substances that make up the universe but lack spatial extension and hence are immaterial. Each monad is a unique, indestructible, dynamic, soullike entity whose properties are a function of its perceptions and appetites." ^ Russell, B., A Critical Exposition of the Philosophy of Leibniz,, Routledge, 2005, First published 1900, p. 218. ^ Franklin, James (2001). The Science of Conjecture: Evidence and Probability Before Pascal. Baltimore: Johns Hopkins University Press. pp. 244–5. ISBN 978-0-8018-6569-5. ^ Claiborne Chappell, Vere (1994). The Cambridge companion to Locke. Cambridge University Press. pp. 161–164. ISBN 978-0-521-38772-9. ^ Dicker, Georges (2011). Berkeley's Idealism: A Critical Examination. Oxford University Press. p. 260. ISBN 978-0-19-538146-7. ^ Downing, Lisa. "George Berkeley". Internet Encyclopedia of Philosophy. Retrieved November 17, 2011. ^ Wright, JP., in Traiger, S., The Blackwell Guide to Hume's Treatise, John Wiley & Sons, 2008, p. 12. ^ Pomerleau, WP., Twelve Great Philosophers: A Historical Introduction to Human Nature, Rowman & Littlefield, 1997, p. 215. ^ a b c Hume, David (1779). Dialogues Concerning Natural Religion (The Second ed.). London: s.n. p. 111. ^ Derham, W., Physico-Theology, 1713, p. 36. ^ Derham, W., Physico-Theology, 1713, pp. 131–132. ^ De natura deorum, London W. Heinemann, 1933 , translated by H. Rackham. This is discussed at Sedley p. 207. ^ Hooke, Rober (2003). Micrographia. Courier Dover Publications. p. 2. ISBN 978-0-486-49564-4. ^ Translation from Aristotle to Darwin and Back Again: A Journey in Final Causality, Species, and Evolution Etienne Gilson Ignatius Press, 2009 p. 126. Original: "L'univers m'embarrasse, et je ne puis songer Que cette horloge existe, et n'ait point d'horloger"; Voltaire (1772). Les cabales,: oeuvre pacifique. Oxford University, s. n., 1772. p. 9. ISBN 978-1-165-51896-8. ^ Paley 1809, p. 1. ^ McGrath, AE. (2011). Darwinism and the Divine: Evolutionary Thought and Natural Theology. John Wiley & Sons. p. 94. ^ Darwin 1958, pp. 59, 87. ^ Miles, Sara Joan, "Charles Darwin and Asa Gray Discuss Teleology and Design," PSCF (2001) 53: 196–201. ^ Darwin, C. More Letters of Charles Darwin, ed. Francis Darwin, (New York: D. Appleton and Company, 1903), p. 252. Quoted in Miles, Sara Joan, "Charles Darwin and Asa Gray Discuss Teleology and Design," PSCF (2001) 53: 196–201. ^ Encyclopædia Britannica. Article on Tennant, Frederick Robert. ^ a b c Craig, E., Routledge Encyclopedia of Philosophy", Taylor & Francis, 1998, Entry for "Tennant, Frederick Robert (1866–1957)." ^ a b Encyclopædia Britannica, entry on "Christian philosophy". ^ Swinburne, R., The Existence of God, Oxford University Press, 2004, p. 166. ^ Plantinga, A., God and Other Minds: A Study of the Rational Justification of Belief in God, Cornell University Press, 1990, p. 104. ^ a b c d Himma, Kenneth Einar (12 April 2009). "Design Arguments for the Existence of God". Internet Encyclopedia of Philosophy. Retrieved November 19, 2011. ^ White, Martin; Kochanek, C. S. (2001). "Constraints on the Long‐Range Properties of Gravity from Weak Gravitational Lensing". The Astrophysical Journal. 560 (2): 539–543. arXiv:astro-ph/0105227. doi:10.1086/323074. ^ a b Allen, Diogenes (2010). Theology for a Troubled Believer: An Introduction to the Christian Faith. Westminster John Knox Press. p. 42. ISBN 978-0-664-22322-9. ^ D'Souza, Dinesh (2007). What's so great about Christianity. Regnery. pp. 132–3. ISBN 978-1-59698-517-9. ^ Hoyle, Fred (November 1981). "The Universe: Past and Present Reflections". Engineering and Science: 8–12. ^ a b Pigliucci, Massimo (2010). Nonsense on Stilts: How to Tell Science from Bunk. University of Chicago Press. p. 177. ISBN 978-0-226-66786-7. LCCN 2009049778. [E]ven back in Aristotle's time, a fundamental assumption of doing things scientifically is that the supernatural is out: no explanations that invoke non-natural causes are allowed. ^ Kitzmiller v. Dover Area School District , 04 cv 2688 (December 20, 2005). , Ruling, p. 24. ^ Methodological Naturalism and Philosophical Naturalism: Clarifying the Connection (2000), Barbara Forrest, Retrieved 2007-05-20. ^ Oppy, Graham (2006). Arguing About Gods. Cambridge University Press. pp. 187–189. ISBN 978-0-521-86386-5. ^ Riccardo Chiaradonna, "Plotinus' account of demiurgic causation and its philosophical background", in Causation and Creation in Late Antiquity edited by Anna Marmodoro, Brian D. Prince, p. 31. ^ Loeb, LE., in Radcliffe, ES (ed. ), A Companion to Hume, John Wiley & Sons, 2010, p. 118. ^ a b c Fiesar, James (June 30, 2011). "David Hume (1711–1776)". Internet Encyclopedia of Philosophy. Retrieved November 24, 2011. ^ Auerbach, Albert A. (2001). The God Hypothesis and Other Theories of the Universe. Infinity Publishing. pp. 59–60. ISBN 978-0-7414-0245-5. ^ Wesley C. Salmon, "Religion and Science: A New Look at Hume's Dialogues", Philosophical Studies, 33 (1978), 143–176. ^ Cartwright, Nancy (1978). "Comments on Wesley Salmon's 'Science and Religion ...'". Philosophical Studies. 33 (2): 177–183. doi:10.1007/BF00571885. JSTOR 4319204. ^ Buroker, JV., Kant's 'Critique of Pure Reason': An Introduction, Cambridge University Press, p. 279. ^ Kant, I, Critique of Pure Reason, in Guyer, P. and Wood, AW.(Trans. ), CUP, 1998, p. 578. ^ Rabitte, E., in Tweyman, S, (ed. ), David Hume: Critical Assessments, Volume 5, Taylor & Francis, 1995, p. 192. ^ a b Voltaire (1901) . "On the Existence of God". The Works of Voltaire: The Henriade: Letters and miscellanies. XXI. trans. William F. Fleming. Werner. pp. 239–240. ^ Southwell, Gareth (2011-01-06). Words of Wisdom: Philosophy's Most Important Quotations And Their Meanings. Quercus. ISBN 978-1-78087-092-2. ^ a b Søren Kierkegaard, Philosophical Fragments (1844). ^ a b c d Dawkins, Richard (2006). The God Delusion. Houghton Mifflin Co. pp. 103, 136–138, 162–166. ISBN 978-0-618-68000-9. LCCN 2006015506. ^ "The New Philistinism". 2010-03-26. ^ Smith, GH., Atheism: The Case Against God, Prometheus Books, 2003, p. 155. ^ Ruse, Michael (2003). Darwin and Design: Does Evolution Have a Purpose?. Harvard University Press. p. 122. ^ Richards, Robert J. (2004). "Michael Ruse's Design for Living" (PDF). Journal of the History of Biology. 37: 25–38. doi:10.1023/b:hist.0000020388.99933.5b. ^ Foley, RA., in Morris, SC., The Deep Structure of Biology: Is Convergence Sufficiently Ubiquitous to Give a Directional Signal, Templeton Foundation Press, 2008 p. 175. ^ Dawkins, Richard (1986). The Blind Watchmaker: Why the Evidence of Evolution Reveals a Universe without Design. Norton. p. 1. ISBN 978-0-393-31570-7. LCCN 96229669. ^ McGrath, Alister E. (2009). A fine-tuned universe: the quest for God in science and theology (1st ed.). Louisville, KY.: Westminster John Knox Press. p. 176. ISBN 978-0664233105. ^ a b Dembski, William A. (2004). The Design Revolution: Answering the Toughest Questions About Intelligent Design. InterVarsity Press. pp. 58–59, 61. ISBN 978-0-8308-3216-3. LCCN 2003020589. ^ Cornman, JW, Lehrer, K, Pappas, GS, Philosophical Problems and Arguments: An Introduction, Hackett Publishing, 1992, pp. 245–256. ^ Rust, E., Religion, Revelation and Reason, Mercer University Press, 1981, p. 96. ^ Russell, PJ., Biology: The Dynamic Science, Volume 1, 2008, Cengage Learning, p. 72. ^ Patil, PG., Against a Hindu God: Buddhist Philosophy of Religion in India, Columbia University Press, 2013, Chapter 2. In a note, the author says that the Nyaya argument has been called a "cosmo-teleological argument". ^ Banerjea, KM., Dialogues on the Hindu Philosophy Comprising the Nyaya, the Sankhya, the Vedanta, Thacker Spink, 1861, p. 252. ^ Jackson, RR., Is Enlightenment Possible? : Dharmakīrti and RGyal Tshab Rje on Knowledge, Rebirth, No-self and Liberation, Snow Lion Publications, 1993, p. 130. ^ Van Norden, BW., Confucius and the Analects, Oxford University Press, 2002, p. 83. ^ Schwartz, B., Quoted in Lai, K., An Introduction to Chinese Philosophy, Cambridge University Press, 2008, p. 79. Lightman, Bernard V. (2007). Victorian popularizers of science. ISBN 978-0-226-48118-0. Retrieved 22 June 2009. Darwin, Charles (1958). Barlow, Nora (ed.). "The autobiography of Charles Darwin 1809–1882. With the original omissions restored. Edited and with appendix and notes by his grand-daughter". London: Collins.